ROBERTO BUONGARZONE studied in Pisa, Rome, Münster and Tübingen, and is currently Research Assistant and Professor of Egyptology at the Department of Cultural Heritage Sciences of the University of Tuscia in Viterbo. The main topics of his research are: Egyptian religion, epigraphy of religious text in funerary contexts, computer-aided applications to archaeological research. 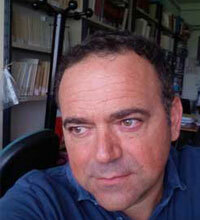 He is co-Director, with Prof. Stefano De Angeli, of Tuscia University Mission to Farafra oasis, Egypt. As scientific advisor of EMAP, he is studying the musical instruments of the Ptolemaic period in comparison with the pharaonic instruments.